But Frerichs' record on state spending gives us pause. He voted to increase the state income tax, but he voted against the bipartisan pension reform bill that became law, voted against reducing state retiree health care costs and voted against closing costly and unnecessary state facilities. He does a better job of protecting state government than protecting state taxpayers. Illinois can't afford a guy who does a better job of 'protecting state government than taxpayers'. 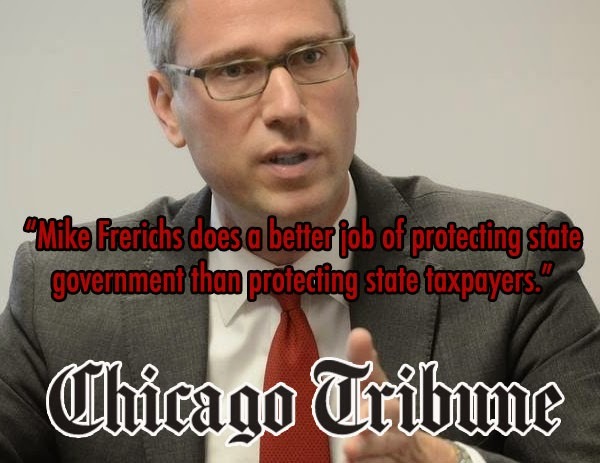 Illinois can't afford Mike Frerichs as our next State Treasurer.